Price Action Signals generates buy and sell signals with price close and complex logic. You can use it different timeframes and pairs. 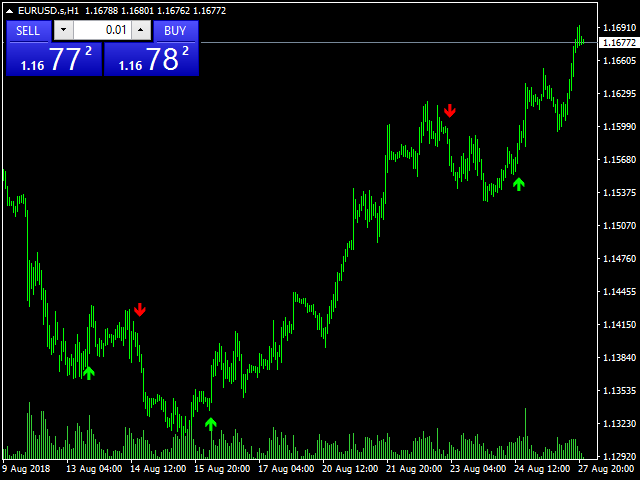 Best results are on M30 and H1 charts with default parameter. nFrequency: It determines signal frequency. Default is 0.004. You can use this arrow for Expert Advisors.